Back Pain Relief. Book A Physio Appointment & Get Back Pain Relief. The majority of people will experience back pain at some point in their lives. Back pain and lower back pain is very common and very treatable, and is by far the most common condition we treat. Research shows that early intervention for back pain improves results and prevents chronic back problems. We aim to give you clear answers and effective treatment so you can avoid chronic pain and back surgery. The key is to figure out what is causing your back pain: muscle, joint or nerve. Is it due to how you are moving ‘biomechanics’ or an underlying structural issue (like a disc bulge or facet joint pinching the nerve)? 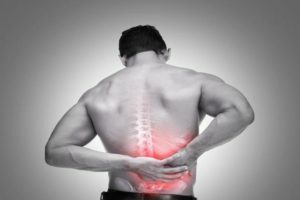 Is it local back pain or referred pain – causing pain, pins and needles and numbness in the arms and legs? On your first session we perform specific movement tests to determine this. Once we know what the problem is, we can be much more effective in your treatment plan. Both biomechanical back pain and structural back issues can be treated effectively by us. If we are not making progress within three sessions we will discuss your possible next steps.